We are a certified Air Conditioning Repair and Heating Repair company, servicing the South Florida area. We have remained the #1 top choice provider in the A/C and heating industry because we have earned the respect from numerous satisfied customers that will recommend our services at any time. Professionalism, dependability, and affordability are our company motto as it represents our beliefs and ideals to serve our clients with quality service. We serve clients throughout the Broward, and Palm Beach areas. From single home installations to commercial businesses, we offer repairs and maintenance on all kinds of air conditioning and heating systems. Our factory trained license professionals are also NATE certified technicians to pride you the right job at the first time. With the hottest days ahead of us, we make sure you have the service you deserve for the comfort of yourself and family members. Our services include full Service of Heating and Air Conditioning repair, professional installation of all makes and models for Residential and commercial businesses and affordable maintenance plans for the entire year. We are a licensed and insured company with more than 10 years of experience in the AC industry. 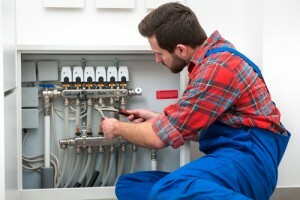 Our professional team provides a quick response to all service calls. We take pride of our team as they do the job right the first time. Our services include sales, routine maintenance of complex installations and fixing repair problems. We work 24 hours, 7 days a week and 365 days a year if you need us right at your door. We understand that living without a functional AC unit in Florida is unbearable. Call us now for more information about our heating repair services at 954-397-2527 Broward County or 561-594-3621 Palm Beach. We will be happy to assist you with anything related to air conditioning services. Visit quote Form. Call For Your Free Service Call With Repair!